Elizabeth Kolbert had a sobbering article in the New Yorker** a few weeks ago about Alberta’s plans to develop tar sands that will cause huge environmental damages as well as greenhouse gas emissions. 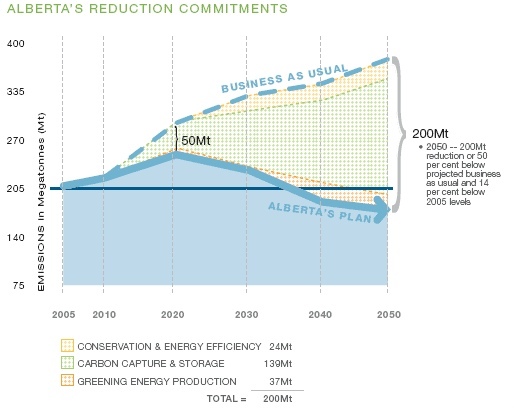 Alberta recently announced a plan to “cut GHG emissions 50% by 2050.” What this means is that they will cut emissions 50% from a baseline that will grow 50% between now and then, meaning of course that emissions will be about flat. Dillusional. Even worse, the “cuts” they are counting on come (90%) from carbon capture and sequestration, which they of course have little idea how to do. What’s also strange is that Alberta’s GHG emissions today are about 205 million metric tons, while California’s are about 500 million metric tons. Alberta’s population (3.5 million) is one-tenth of California’s (38 million). How do they generate all the GHG emissions? To express even more frustration, here are California’s GHG reduction goals. 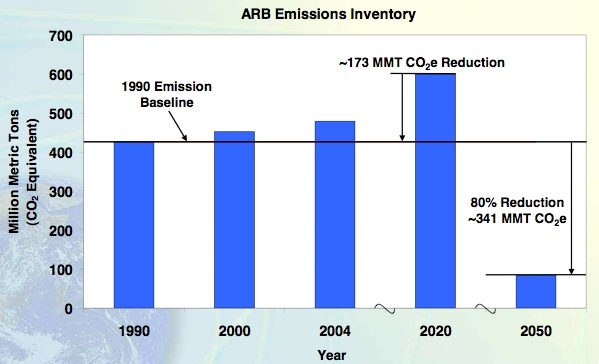 If Alberta increases its GHG emissions by about 200 MMT (which I’m sure they will if they stay on the tar sands developmet path), and they don’t achieve the CCS reductions (which are very speculative in my mind), their emissions will largely offset California’s gains of 341 MMT (which is an ambitious an speculative goal in itself). Yuck. This entry was posted on January 27, 2008 at 11:53 pm	and is filed under Uncategorized. Tagged: alberta election, alberta government, california, climate change, climate plan, global warming, kyoto, oil sands, stelmach, tar sands. You can follow any responses to this entry through the RSS 2.0 feed. You can leave a response, or trackback from your own site.